Rating: If you are a writer, Must read. If you are not- Still, a must read. I have just finished reading Middlemarch. It is quite a heavy and voluminous book. The story slowly rises, very slowly, spread across so many deeply developed and intricately engaging characters- the people of a fictional rustic town of Middlemarch in the 18th Century England. The narrative and the story is strong, well-built with huge shoulders to carry various causes which it alludes to. The beauty and charm of reading a classic of those times is that while these stories were written when Europe convalesced under the forces which were to set it on a path to glory; it is to the credit to wonderful writers like George Eliot (Real name, Mary Ann Evans (1819-1880)), that they never allow the narrative to surrender to their causes. While the story deals with love, marriage as prime theme, it is not a romance novel, as is evident by the male pen-name taken by the writer in those times. There will of course, be allusion to social themes like widow remarriage, love outside of marital boundaries, social divisions and woman emancipation, but there will always be the story which stands supreme. This is the skill of the writer that the story is the message. Author does not, for a moment, sit at the high pedestal to preach. From that perspective, this is another of Writer’s book (like Orlando, or Lord Jim or The Insulted and The Humiliated, for that matter). There are no judgement which the writer makes on behalf of the reader. In that sense, the writer doesn’t misuse his exalted position as the creator and narrator of the story. The characters are exactly as they are supposed to be. They thrive and bloom in the thin land of reality which exists between the good and the evil. Therein lies the success of the Novel, it doesn’t preach or screech ever. Just as the oft said- Show, don't tell, this is another lesson, illustrate, don't preach. The message is subtle, the build impeccable. 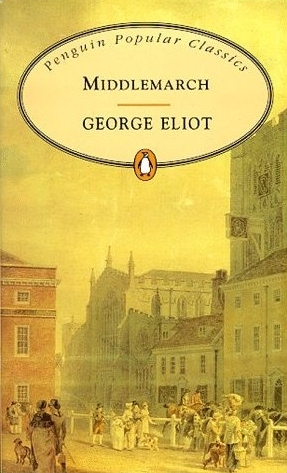 Virginia Woolf called MiddleMarch as one the few English books written for grown-up people. One needs a degree of maturity and patience to let this book grow on you. By the time one ends the book, (which will be a long time, this being a longish book), you almost feel you have been to this small town, know all those inhabitants and are almost saddened when you close the finished story and miss them sorely, sadly and surely. The story looms about the small town politics, with Nicholas Bulstrode, as a wealthy and overtly righteous banker, Sir James Chattam, Mr. Brooke and his nieces, Dorothea and Celia Brook, Clergyman Edward Casaubon, Vincy family and the young Doctor Lydgate, before it delves deeper and looks into lives of people, their relationships and evaluates, addresses their parallel stories which run side-by-side. Much like life, no story is subservient to any other story and it takes special vastness of vision on the part of the writer to ensure that each story is dealt with as delicately as any other. The Plot is very complex, mostly on account of multiple story-lines and makes one ponder about relationships, customs and conventions, without being judgmental about them. As a reader, it opens layers of your understanding about the world and at no point in the story, the writer tries to impose his vision, his idea on to you. The characters emerge as real people of flesh and blood with their very human weaknesses and strengths arising out of the story. “the large vistas and wide fresh air which she had dreamed of finding in her husband’s mind were replaced by anterooms and winding passages which seemed to lead nowhither. It seemed to her as if going or staying were alike dreary. As I wrote in the beginning, this is a writer’s book, it is an education for a writer. It takes you to such great pinnacles of glory of language, one bows the head in awe. “The distant flat shrank in uniform whiteness and low-hanging uniformity of cloud. The very furniture in the room seemed to have shrunk since she saw it before: The stag in the tapestry looked more like a ghost in his ghostly blue-green world….her religious faith was a solitary cry, the struggle out of a nightmare in which every object was withering and shrinking away from her. 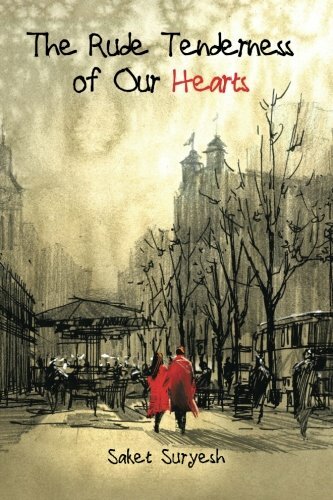 She meets in her days of loneliness in Rome, Will Ladislaw, Casaubon’s young cousin with little fortune to his name. She feels Will has been wronged and is sympathetic towards him. Right at the time, when one feels it is getting into Madam Bovary mold, the story soars as one understands Casaubon, even in his failures, as a human being. As one discovers the deeply distrustful husband in Casaubon, one also feels for him as his impending death is announced. Edward dies amid the disputed request by Dorothea to support Ladislaw. One doesn’t hate him, one does not love Edward. One does feel a little sad as if someone real had died. Dorothea shrinks into the shadows of young widowhood, under the admonishment of her dead husband’s will that she was never to re-marry and not to Will Ladislaw at least. Another story which runs in parallel is of the young doctor, Lydgate who arrives in the small town of MiddleMarch and while gains affection of Rosamond, the daughter in Vincy family, while helping her brother Fred Vincy recuperate from his sickness, and marries her. A romantic marriage is soon withered in the warm winds of poverty which brings out the vulnerabilities of their happy lives. Fred Vincy on the other hand, is in love with Mary Garth, a conscientious, wise girl and a daughter of Caleb Garth. Mary wants Fred, who is her childhood sweetheart to get out of his aimlessness, and find stability in life, before she could consent to marry him. While in most Novels, no character except the main protagonists, Ms. Eliot attends with affection to each character in the story. While this lengthens the novel, it ensures that one gets into the skin of MiddleMarch. This explains why the novel still captures the fancy of modern readers, more than a century after it was published (it is an 1872 novel), ranked 21st among the 100 best novels ranked by The Guardian in 2014.